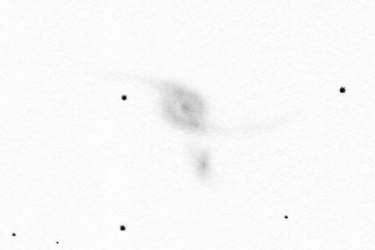 M 100 drawing inverted into positive. 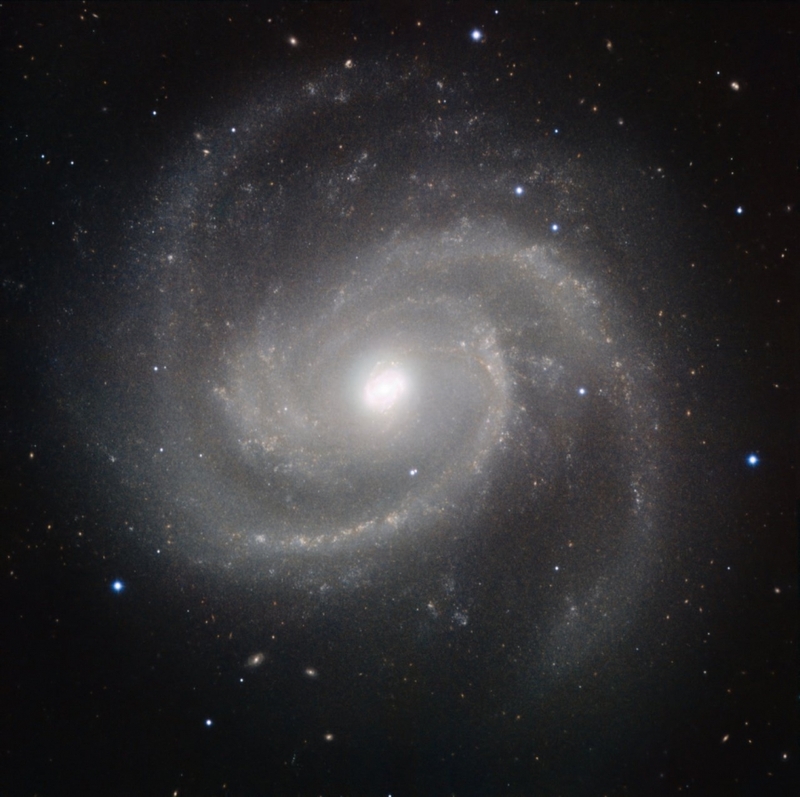 M 100 (Messier 100) is one of the biggest and brightest members of the Virgo Galaxy Cluster. A beautiful grand-design spiral galaxy. At first glance I could see a large round diffuse spot in the eyepiece with a very bright inner section. 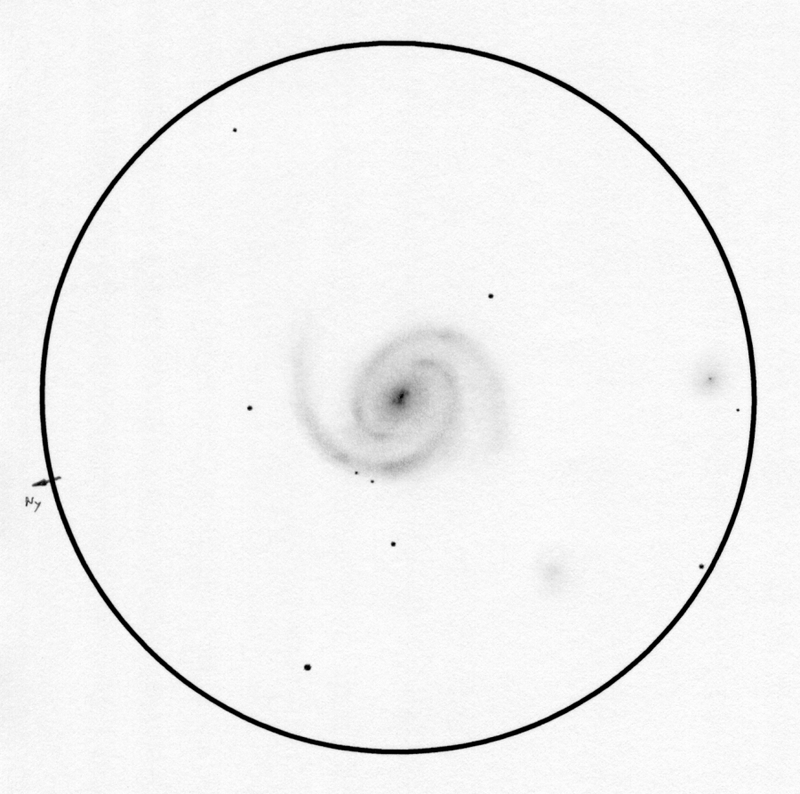 Shortly after by taking a better look the spiral arms reveal themself. The arms are clearly visible as thin bright threads on the diffuse surface of the galaxy. 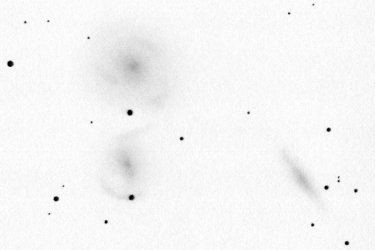 Several bright spots of different sizes can be obsereverd in the spiral arms but these spots lack any real details. These are star forming regions. The core region of M 100 deserves special attention. 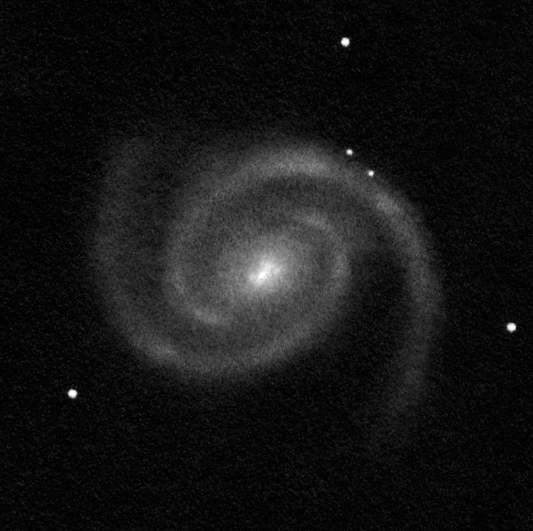 Star formation is the most intensive in this region within the starburst galaxy: M 100 features a nuclear ring - actually a mini spiral structure around the core. This object was one of the first targets of the serviced Hubble Space Telescope in 1993. 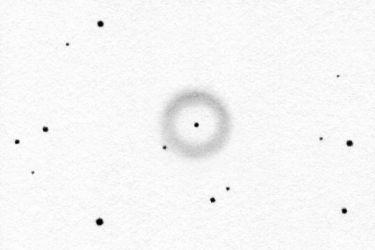 Visually a bright stellar core can be seen in the eyepiece surrounded by a bright round inhomogenious area (this is the mini spiral). After taking a better look (this means min. 30-60 minutes) the inhomogenities can be drawn by position. The core sits in the middle of an elongated patch (NW-SE direction). Three bright spots of different brightnesses are visible next to this patch. The whole structure is about 30" (arcseconds) in diameter. 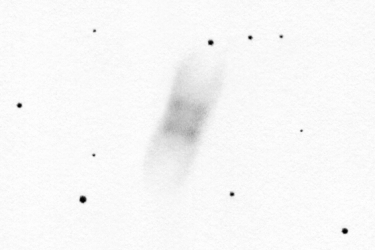 Two satellite galaxies fit into the 15.5' field of view: NGC 4328 (to the right) is relatively faint and it is getting gradually brighter towards the more or less stellar core. 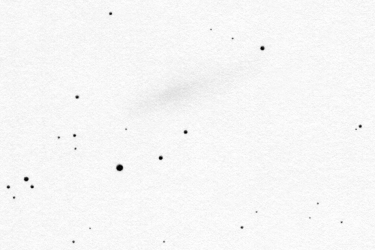 NGC 4322 (bottom right) is even fainter and doesn't have a visible core. 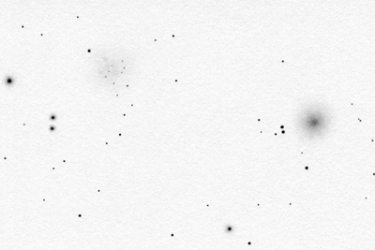 You can see an ESO (European Southern Observatory) image to the left made using the HAWK-I instrument on the 8.2m VLT (Very Large Telescope). I rotated and cropped my inverted drawing to show about the same area of the sky as the photograph. The HAWK-I image is not visible light. It was made in near infrared wavelengths. Y, J, H, K bands (wavelengths between about 1000-2200nm) were combined to create a false-color RGB image. It is interesting that the morphology of the galaxy is very similar in visible light and near infrared therfore it might make sense to put these two images next to each other. 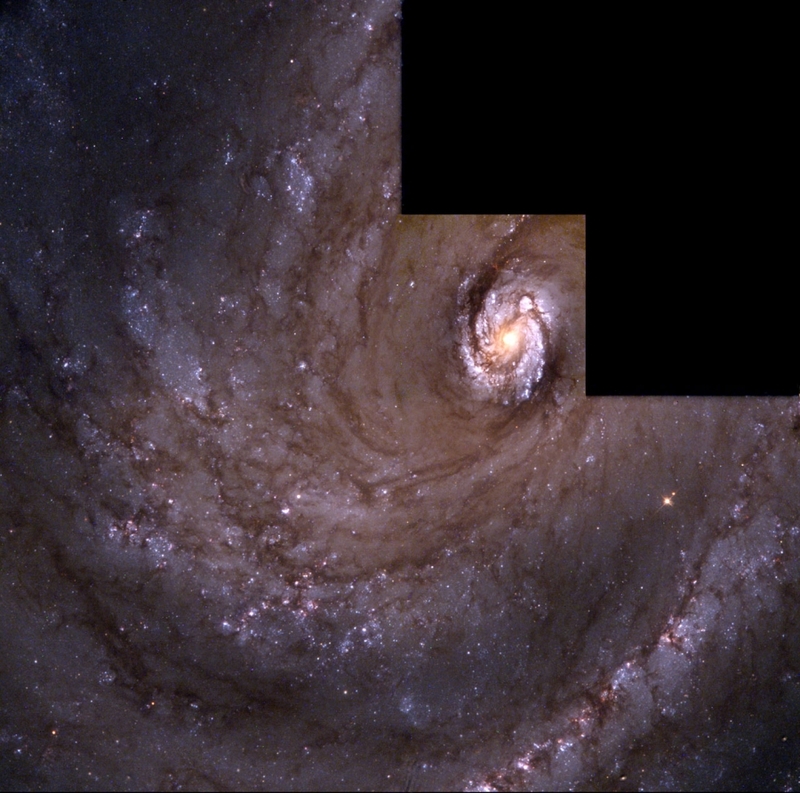 The central region of M 100 can be seen in the picture below made with the Hubble Space Telescope (HST). 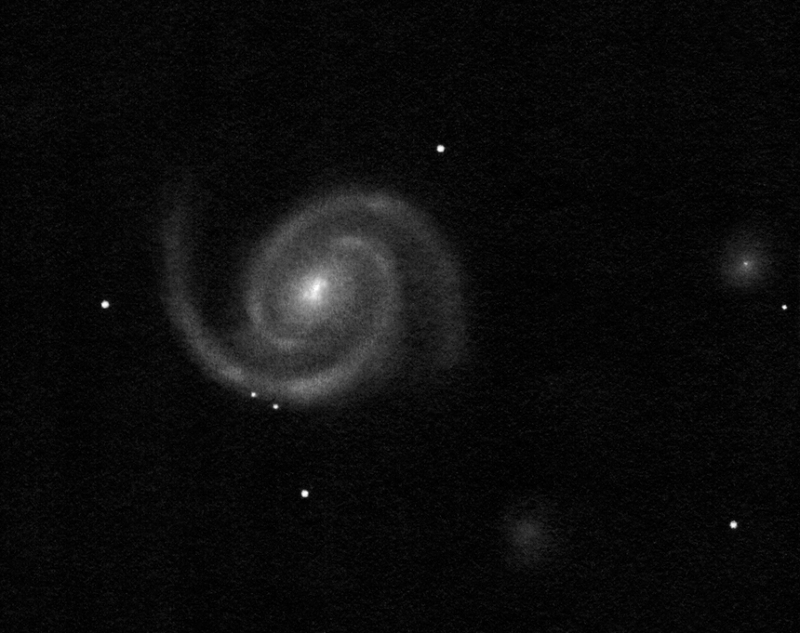 The intense star formation is clearly visible in the nuclear ring (the mini spiral around the core). The large contrast in brightness between the central region and the outer arms can be seen as well.